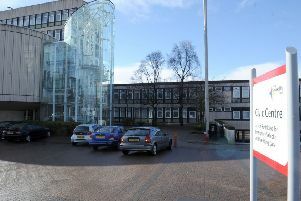 North Lanarkshire Council is aiming to restructure and simplify its system for calculating rent. Under the current structure rent is worked out by considering a number of factors including: property size, property type, the windows and heating in a home, and a premium is also added to new build homes. Stephen Llewellyn, head of housing solutions, said: “The way we currently work out rental charges is difficult to follow with 192 different variations across our 36,500 homes. “The new structure aims to be easy and straightforward to understand, set the same rent for the same house type and size right across North Lanarkshire and be fair and consistently applied for all residents. “The changes won’t increase the overall amount we collect and every penny will continue to be spent improving council houses across North Lanarkshire. The council is running a consultation until July 1 with a newsletter and survey form being delivered to every council home. Submit your views at www.surveymonkey.co.uk/r/rentrestructure or visit a First Stop Shop for more information.